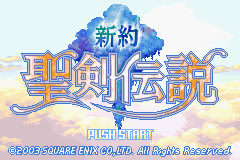 Title: Shinyaku Deiken Densetsu - Sword of Mana. 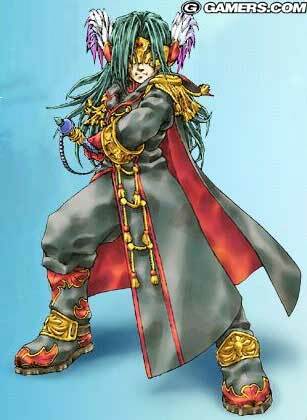 Release date (in Japan): 26 August 2003 (instead of 29 August). Release date in the rest of the world: September 2003 in the US. At the origin of the world, a long time ago, the Mana goddess borned and started to rule on Earth. The goddess wanted the Light to rule on Darkness. The goddess keeps the balance between the good and the bad: on her left hand she handles Light and on her right hand she handles badness. She used the sword to destroy the badness. Then, she summoned the "animal god" and the "sprite" to create the world. Goddess got rid of the sword to enable peace to reign on the world. The sword began to get rusty. In order to maintain peace, goddess turned the word into a tree. The place where the Mana Tree is located was fertile and remained protected by a mysterious power. This new episode is founded on the 1st episode's story bases and gives a new breathe to graphics but also the whole game. The Action RPG mode is still present in this new episode and there's also the Mana power and the levels progression of weapons, magics and characters. This allows the player to make his own strategy. 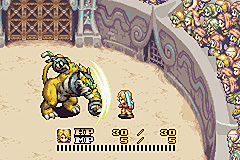 It's a pleasure to see that the Action RPG combat mode is back with also the Mana power. 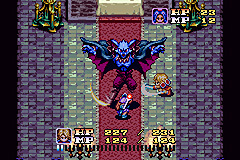 Using the good weapons against the good monsters, it can be easier to win combats. In addition, each monster is unique. It adds some diversity to the game. 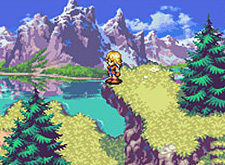 Secret of Mana fans will recognize an old friend: Nosfera! 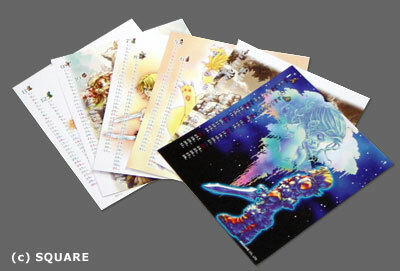 Now look carrefully at this calendar which is being sold on Square's Store. Don't you see? 3rd image to the right! You recognized him? That's FLAMMY! This new episode of the fantastic Seiken Densetsu series looks great. 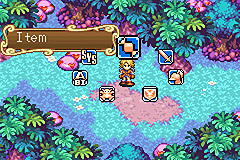 Inspired by Legend of Mana concerning graphics and characters, by Secret of Mana concerning the combat system, and by Seiken Densetsu concerning the story, Brownie Brown wants here the show the Pokemon generation what is a real RPG and what is a real game! 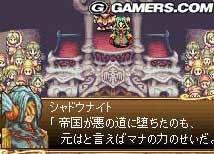 Designed for a large audience, Shinyaku Seiken Desnetsu is not only for RPG fans according to the authors. Indeed, the A RPG style allows beginners to start with a cool game without getting lost with all these levels! At the opposite, it can be very technical and that's what RPG fans will appreciate. They'll be able to have: the Mana power, weapons levels, magic levels, exp points, ... all is there! Each one will be able to play the game as he wants. On the story field, it's a real pleasure to see FLAMMY again. He'll make us travel all around the world! 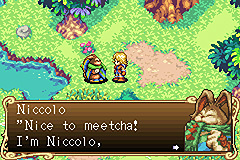 There's also Nicolo who's back. 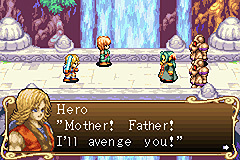 Let's hope that he'll remain as strong as in Legend of Mana! To finish, there's Lil' Cactus. 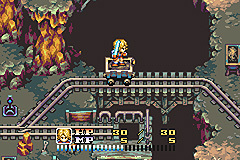 After Legend of Mana's success, Brownie Brown decided to keep the game system with a variable story. This is perfect for those who love Legend of Mana! For those who didn't like it, it's time to try it, to like it and to discover this new way to play!